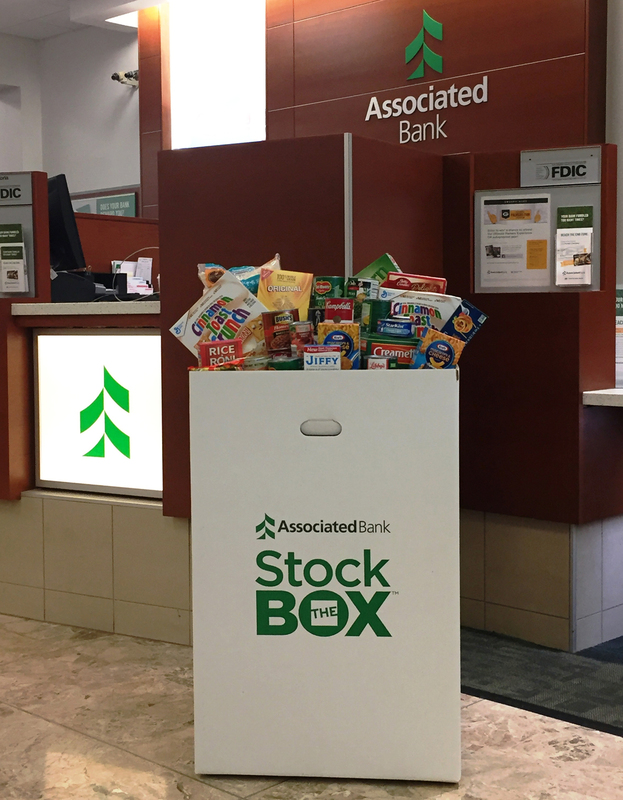 Associated Bank’s Stock the BoxTM for Hunger campaign to benefit Feeding America will take place in branches and corporate offices in Wisconsin, Illinois and Minnesota through December. The issue of hunger exists in nearly every community, with a devastating impact — particularly on the elderly and children. Feeding America’s mission is to feed those in need and work collaboratively with community partners to resolve the issues that lead to hunger and food insecurity. At the end of the campaign, food donations will be paired to Feeding America member food banks in each of the communities. Only nonperishable, non-glass food items will be accepted. The campaign kicked off in Wisconsin with four Green Bay high schools collecting over 5,000 pounds of food, equating to over 4,200 meals. “Feeding America Eastern Wisconsin was pleased to see this campaign kick off so strong in Wisconsin. We were honored to be part of such an energizing day. We encourage Illinois and Minnesota community members to donate in their hometown,” said Patti Habeck, executive vice president of Feeding America Eastern Wisconsin. This is Associated Bank’s first-ever food collection to take place across all three states.